As upstream oil and gas companies are leaping into the digital oilfield revolution, the industry is enthusiastically implementing new technology formats that help deliver real-time intelligence and situational awareness in oilfield production. The implementation of smart grids has allowed oilfields to run a more efficient system that keep costs down and meet local government regulations. 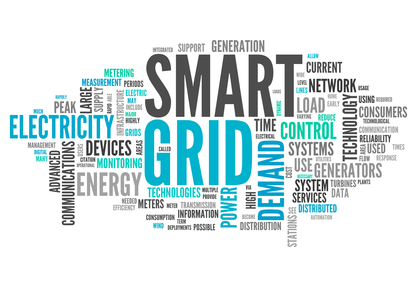 Smart grid networking is, as its name suggests, technology for automating networks, monitoring and controlling the flow of two-way data from production to distribution. Essentially, using smart grid technology means that data is transferred efficiently and reliably across the network, through a high level of connectivity and low energy consumption. With high levels of data being gathered in oilfields, new solutions for data management are becoming even more important. At the same time, ensuring that communications and electrical grids are not over-taxed requires the ability to forecast and respond to demand. Smart grid technology offers oilfields predictive and responsive capabilities by using communication tools integrated with existing systems to allow adjustments to be made in real time, resulting in maximum production and minimal waste. Like an electrical grid, smart grids network millions of communications and scanning devices. The technology monitors energy consumption and significant data fluctuations from field equipment so that any abnormalities can be taken care of immediately without requiring human input. By incorporating data into smart grids, companies can respond to changes in power availability from alternative power sources as well as traditional sources, in order to keep power costs low and consistent. Managing a large, sprawling oilfield network is challenging. Keeping track of pipelines, production equipment, employees, pressure gauges and other metrics can become overwhelming. But, with the digitization of oil production in the field, and implementing a smart grid to manage it, employees can get real-time field visibility and collaboration, reducing guesswork and preventing potential problems. With smart grids adjusting energy sources to meet needs, it is possible to predict energy shortages on site and adjust workloads to respond to peak energy demands, thus making extraction and production less expensive overall. In a study from the Energy Exchange, a quarter of respondents said that the key to smart field success is increasing the recovery of oil and gas production, but 90% of respondents noted that data management is a problem area. Smart field technologies that streamline data input are a vital support component to oilfield success. Managing an oil and gas field requires a tremendous amount of resources and is both asset and data intensive. A typical oil well usually has tens of thousands of sensors to reliably track parameters such as pressure, flow, pipeline corrosion, storage tank levels, perimeter security and more. These instruments could generate up to 1 terabyte of data per day, which need to be distributed to corporate IT systems to be processed, analyzed and archived. Successful smart grid implementation relies on a team gaining an understanding of all performance areas and bringing them together. As all the data and events across the company are integrated, it produces a birds-eye view of operations, enabling decision-makers to optimize the entire production cycle from end-to-end. Smart grid technology allows the anticipation of problems and opportunities before they arise, leading to proactive decision-making. By seamlessly integrating real-time data streams from the field and running predictive analysis software, it allows oilfields to go beyond reacting to problems and into immediately identifying both opportunities and risks. Smart grid technology is still fairly new, and there are many small companies in the field competing for market share. With so many available options, it is difficult to find the right vendor. A basic rule of thumb is that larger consultants offer more custom end-to-end solutions while smaller vendors offer turnkey, lower-cost solutions. However, as the industry matures, expect to see some exciting innovations coming down the line in the next few years.